Every year I save up some special books to take on holiday with me. Books that I’m really excited about, books that are sequels in a series I’m reading, or just fantastic sounding books by familiar and also new authors. I normally managed 5-6 books in a week on holiday, which is a massive increase on my usual reading speed of 2-3 books a month, but with fewer distractions and only a pool to tempt my away from the page, I manage a lot of reading. A lpha by Greg Rucka – I’m a big fan of Greg Rucka and his work in general, but particularly his independent comic book work (Stumptown, Lazarus, Veil, Lady Sabre, Queen and Country) and I have also read and enjoyed several of his Kodiak novels. Alpha is the first in a brand new series with brand new character and I’ve heard great things about it from other people who have already read it. Someone kindly bought me a copy for my birthday so I’ve been saving it for a few months now already. 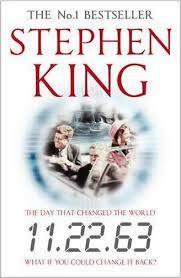 11/22/63 by Stephen King – I’ve been reading King books for decades and think he’s an amazingly creative writer with a remarkable imagination. I love time travel, always have. From Back to the Future to the hammy Time Cop, I just love time travel and this is the ultimate version of, ‘what if I could go back in time and change an event earlier in my life?’ This goes far beyond something small and personal. It asks, what would happen if someone tried to change the horrific events on that tragic day in Dallas in 1963? I’m sure there will be plenty of twists and turns, a lot which I won’t see coming, which is another real plus for me as I like to be surprised but often see them coming ahead of time. King always surprises me with his choices and where a story goes so I’m really interested to see what he does with this. The Iron Jackal by Chris Wooding – I loved the first two of this series and flew through them as they’re so funny, dark, exciting, clever, packed full of ideas and great characters. An easy touchstone is Firefly, but it goes far beyond that into a world that is completely its own thing. The story in these novels fly along at a cracking pace and are full of great characters, moments of genuine creepy horror, and clever twisty turny plots, dog fights in the sky and laugh out loud moments. It’s incredibly rare that a novel actually makes me laugh out loud. I smile, I might almost chuckle, but properly laugh is one in a hundred but Wooding does it. 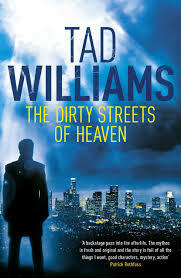 The Dirty Streets of Heaven by Tad Williams – I’ve read a few of his novels over the years, starting back in the day with his fantasy books, Memory, Sorrow and Thorn, and then his massive Otherland books which were remarkable in their scope and achievement. This new series sounds exactly like my kind of thing, noir crossed with supernatural and urban fantasy. No doubt it will have his own unique twist as well and this is another one I’ve been desperate to read but have been saving it for a time when I can read it without interruption and can just sit for hours at a time and sink into the book. The second book in the series is already out so if I really like this I’m sure I will pick up the next one in record time. I’m going to add at least one more, if not two books to the list before I go. Do you save books up to read at a later date? If so what books are you saving up? It might give me a few ideas to add to this list. I thought 11/22/63 was amazing, thoroughly enjoyed it! 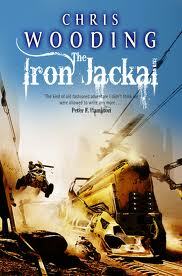 Also thought The Iron Jackal was a good addition to the series. Hope you enjoy them all!